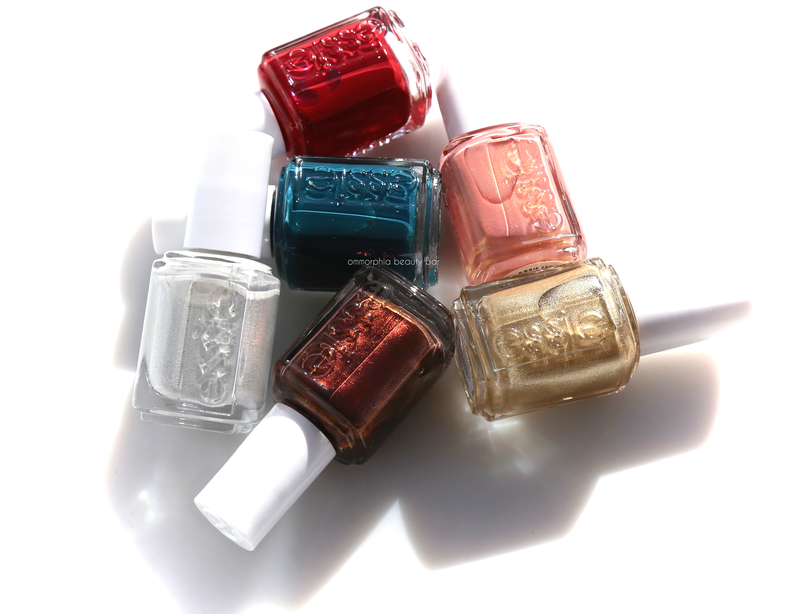 For the Winter 2016 Collection, Essie’s taking us back to mod London in the swinging 60’s by bottling the free-loving spirit of the time with 6 shades that range from lush crèmes to shifty shimmers. Get your go-go boots on and cue the Austin Powers opening number, because it’s about to get Groovy, Baby. 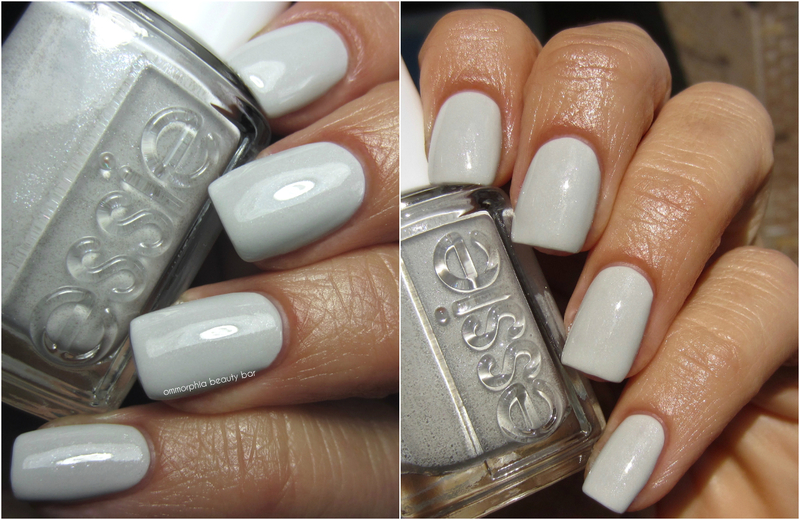 Go With The Flowy | ‘Cloudlike Dove-Grey’, this is a greyed-out white hue with ultrafine silver shimmer & blue reflects. The formula has an odd thickish consistency (I want to say it reminds me of oatmeal, but without the lumpiness) although it still manages to apply in a self-levelling way and comes to a glossy finish. There will probably be some patchiness with the first coat, but a second layer smooths everything out just fine. Minimal shimmer spread upon removal. Oh Behave! | ‘Minx Peach Frost’ — close, but I see more of a pink/coral that’s filled with delicate gold & pink shimmery ribbons. 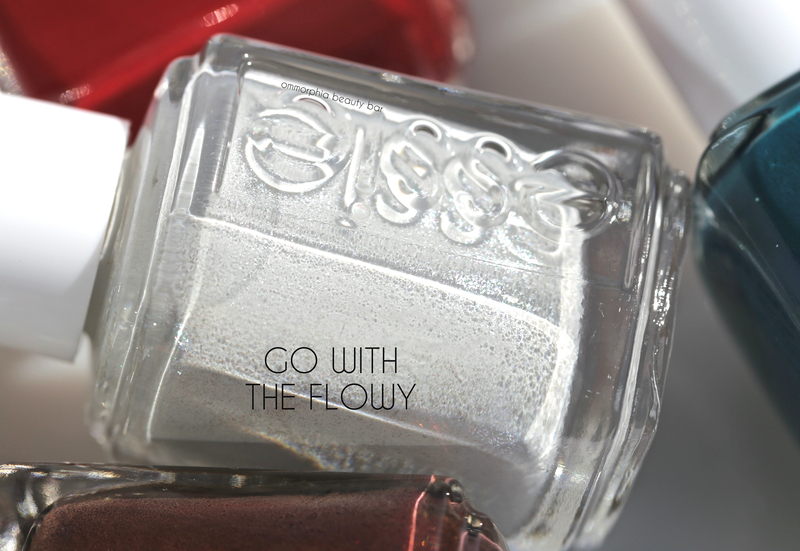 The formula leans towards a crème-jelly hybrid and while the first coat might appear semi-sheer, a second layer brings it to pretty decent opacity. Self-levelling and glossy, I love that moiré look of the shimmer, while the colour actually reminds me of well-worn ballet slippers. 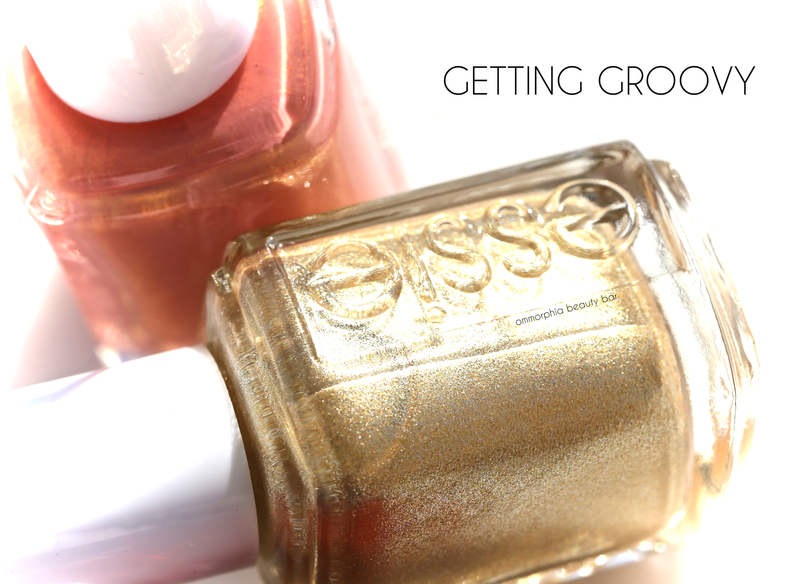 Getting Groovy | ‘Metallic Palladium Gold’ (apparently palladium is a chemical element that resembles platinum. I looked it up), this is a pale gold with both cool & warm undertones and basically metallic perfection: excellent flow, density, opacity & brilliance. I would even avoid top coat, as that might actually dull its reflective shine. There will be shimmer spread at removal, so take care. Ready To Boa | ‘Glistening Bronzed Mahogany’ — definitely. 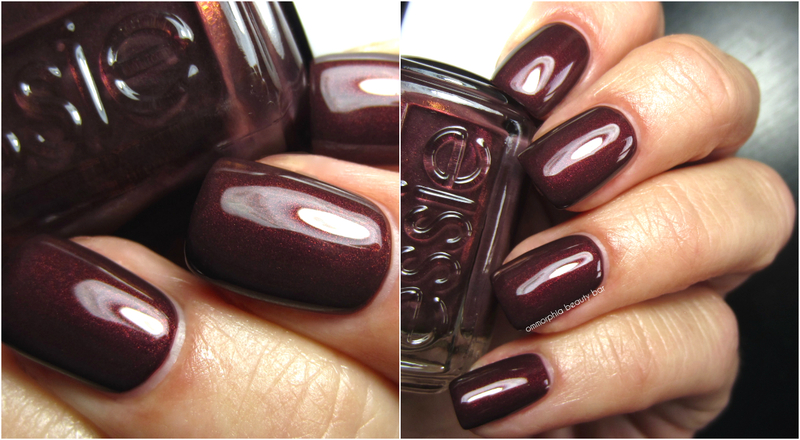 It’s one of those lit-from-within or fireplace-banked-embers kind of shade, with burgundy & topaz reflects and just so much gorgeousness. 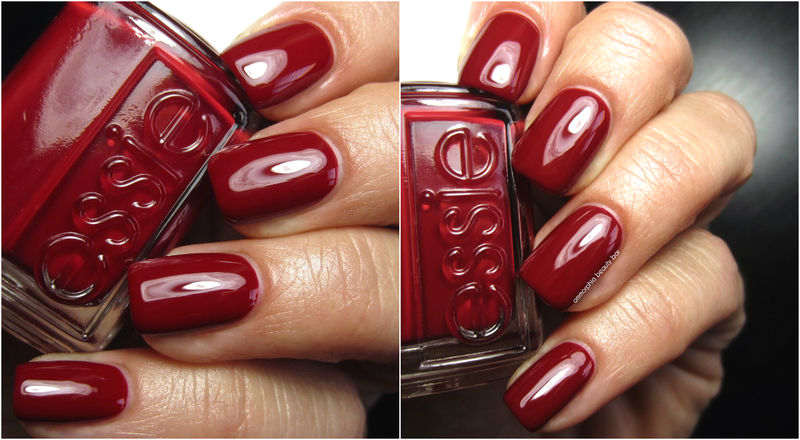 In other words, I see this as the perfect Fall shade but it’ll do for Winter as well. The formula can almost be a 1-coat-wonder, laying down in a super pigmented way, fully opaque by the first coat, self-levelling and coming to a hi-shine finish. While thicker than the rest of the group, it still applies quite easily without any pooling at the cuticles or nail sides. Satin Sister | ‘Sleek Ebony Peacock’. What? Um, more like a drop-dead lush teal crème that shows some jelly-like characteristics: a plush cushiony look and a slight spring-back effect upon application. Super creamy and smoothly laying, this baby has excellent colour saturation and — get ready for this — is non staining upon removal. I know, right? 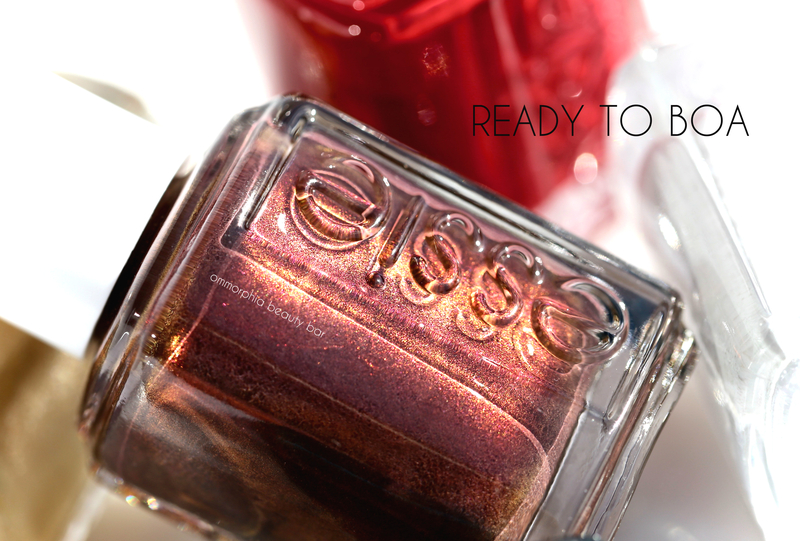 Party On A Platform | ‘Towering London Garnet Red’, and while I’m not exactly sure what the Tower of London connection is, the colour is spot on: an insanely pigmented & colour drenched garnet/deep carmine crème hue, with some jelly-like tendencies. A true 1-coat-wonder, it’s also self-levelling and über-glossy at the finish. Seriously, this is one red for the books. I wasn’t initially sure what to make of the theme for this collection, but the more I played with the shades, the more it seemed to fit. 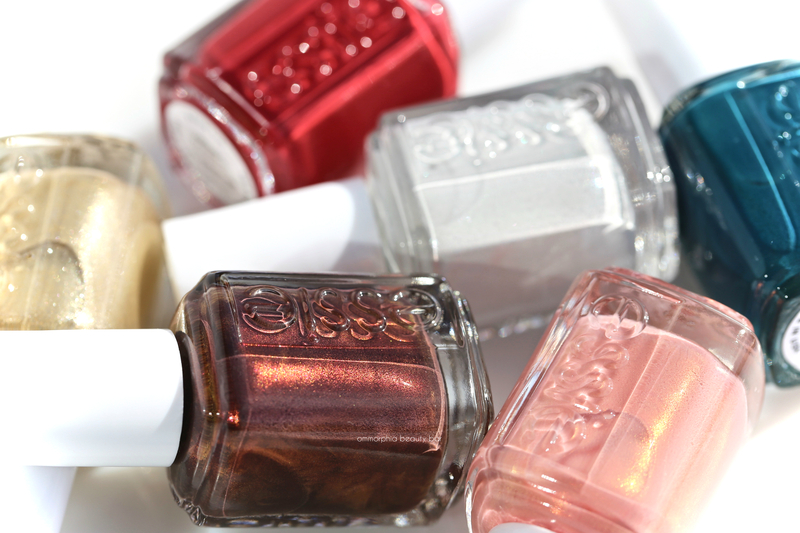 In fact, it should have been name Essie’s London in the Swinging 60s Winter 2016 Collection. Stand-outs for me are Ready To Boa (because it’s just so rich. Ugh), Go With The Flowy (because I cannot resist anything white-ish) and surprisingly (to me), Getting Groovy (because, metallic. And gold.). Truth to tell, you really can’t go wrong with any of these. Powers, out. Gorgeous swatches as always!! This is a pretty collection. Thank you, Marisa! It really is a pretty collection and each shade a stand out! 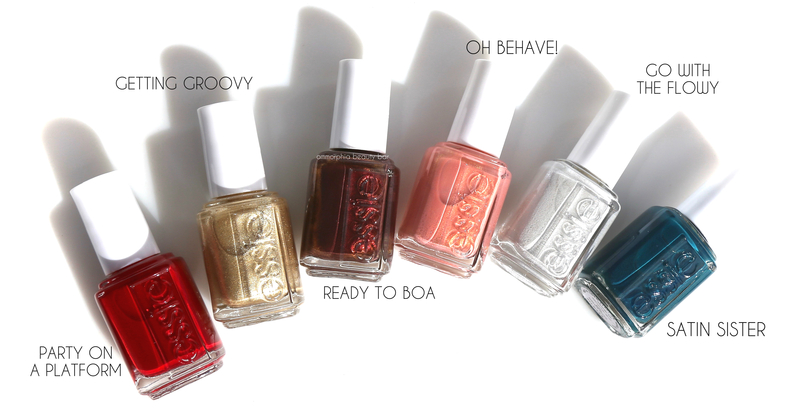 I am not too crazy about the last 2 polishes but I will probably get all the rest. Oh Behave is my favorite, I think! What a unique shade, right?! Happy to hear you like them! Ready To Boa is stunning! That would be my pick of this collection! It’s really mesmerizing! 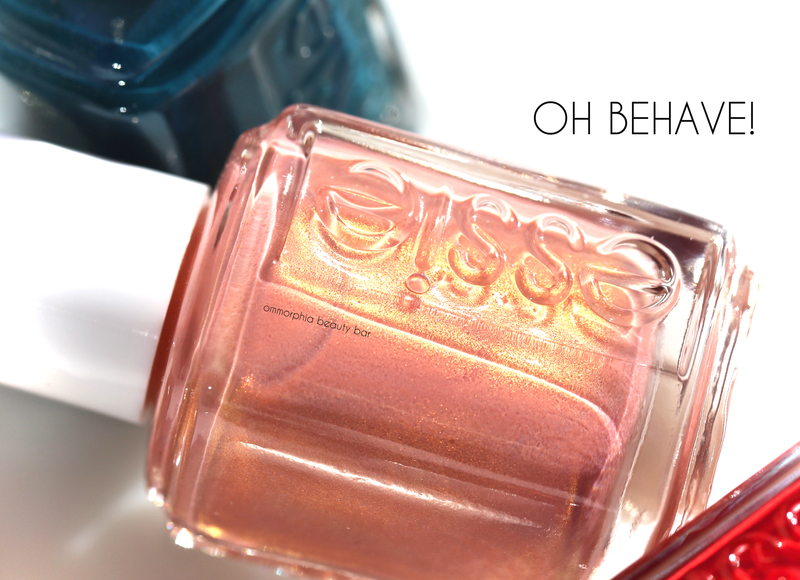 Every angle reveals a new shade! It’s a stunner! 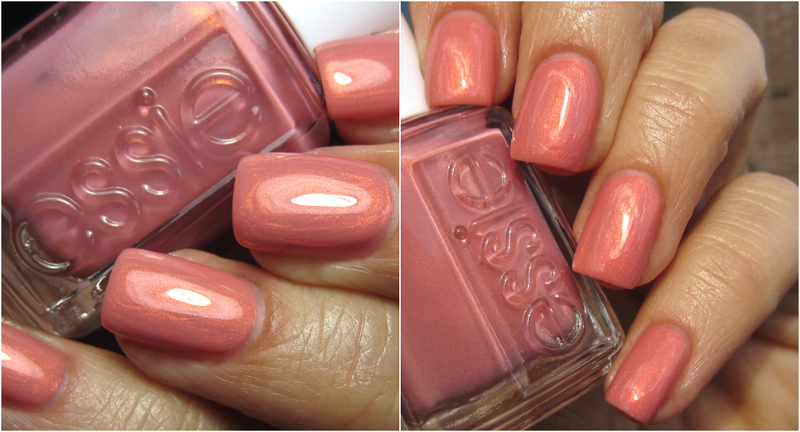 One of those shades you just can’t stop looking at! 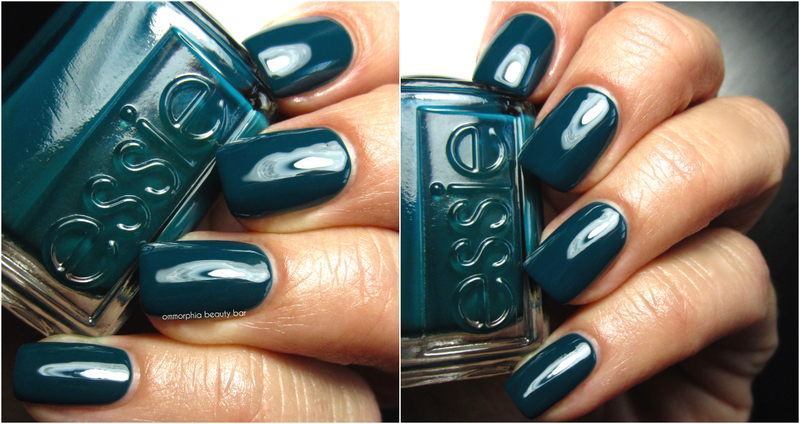 Here’s hoping they come out over here in the UK 🙂 I fell in love with one of the shades from last year but have never seen it here, it was a teal one.